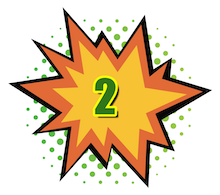 UP 5 PLACES FROM LAST YEAR! It now seems certain that the FF will be coming home along with Spider-Man. And some of the long-sleeping keys have taken off. FF#1 is the hottest-performing Marvel mega-key this year. FF#5 is huge. FF#52 has benefited from the Black Panther movie fuss. 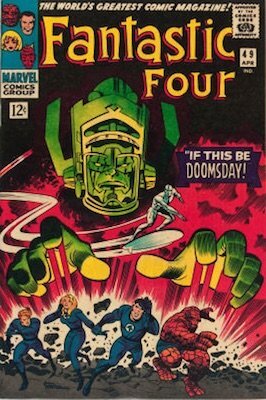 Before I talk about Fantastic Four #48 specifically, I want to give an honorable mention to #49 and #50. 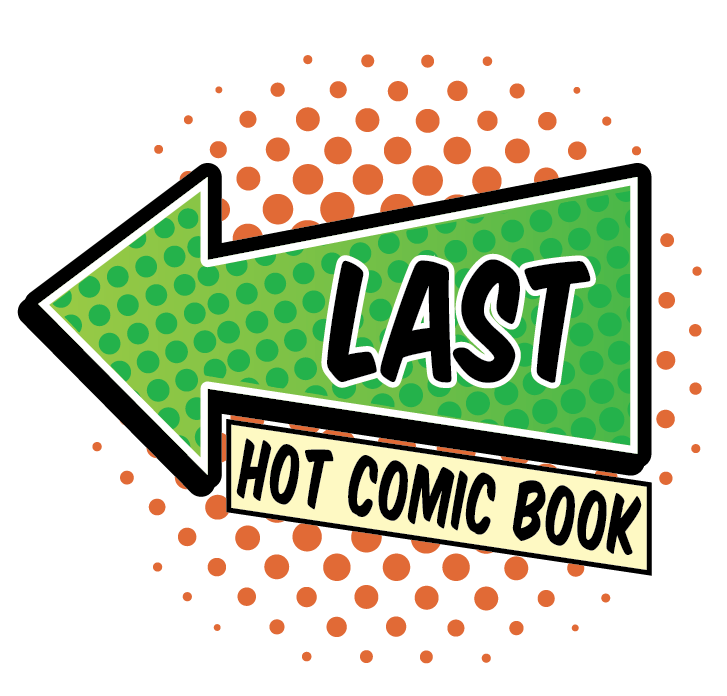 These books deserve a slot on the 100 Hot Comics list too -- but I had to draw the line somewhere before it became 100 Hot Spider-Man and FF Comics instead! This books is SO COMMON in grades between 3.0 and 7.0. We get this book multiple times per month. Prices are NUTS for VG to FN copies. Really not good value in my opinion. Avoid low-grade copies. This book is a dog when it's worn. There are too many to choose from to settle for rough. 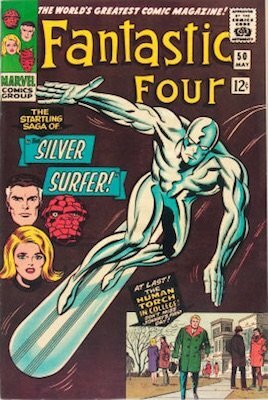 2018 MARKET UPDATE: SONY OFFERS SILVER SURFER A LIFELINE! The deal which allowed Spider-Man to come in out of the cold might just rescue the Fantastic Four from their movie hell. 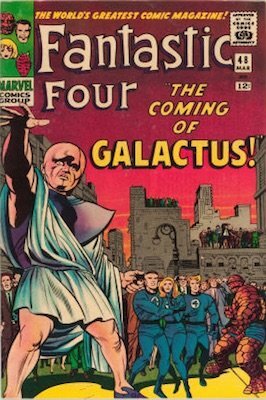 Certainly, investors have driven up the first appearance of Silver Surfer -- but it might be a gamble on Galactus. With Thanos tearing up the Marvel Cinematic Universe, Galactus could prove to be a foil to the character. 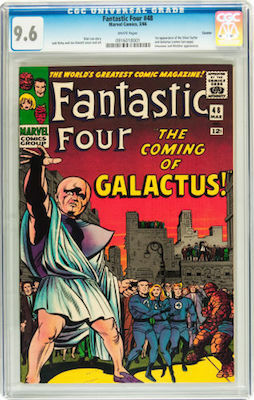 Whatever the thinking, prices of FF #48 are strong at almost all grade levels, with a new record being set at the end of 2017 for CGC 9.8. If you'd followed our advice and got in at 9.6 last year, you'd be $1,000 to the good now. 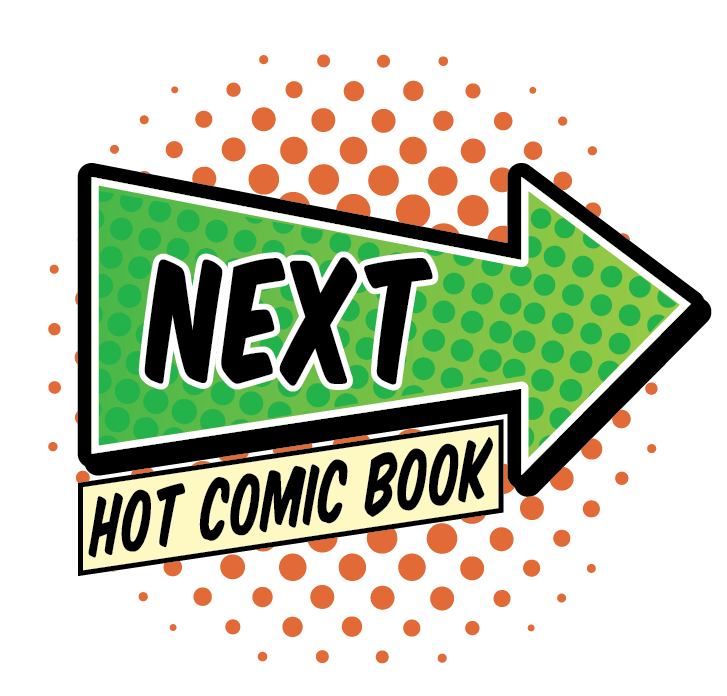 Other books have been hotter this year, but there's no doubting that Fantastic Four #48 is a deserving member of the 100 Hot Comics list. Especially in high grade, this book has been setting new records all year. Lower down the grade range, things have cooled -- typical VG examples haven't changed in value much since our previous list. Silver Surfer and Galactus are massively important in the Marvel Universe. Like the Fantastic Four themselves, the characters have never been handled well on the big screen. Perhaps their time has come. There are so many Marvel movies and TV series in the pipeline that it is not beyond possibility that, say, Thanos and Galactus/Silver Surfer could meet in the Guardians of the Galaxy sequel, for just one example. The value of this book has been strong for years, but a recent surge in higher grades has boosted it up the charts of the Hot 100. What we're recommending won't be affordable to all, but it's the best potential ROI in our opinion. This book is common in lower grades. Owning a high-grade copy would be a pleasure. The cover is amazing when it's undamaged.